Hi Julian, I found similar issues when I connected an Icom IC-7E to my loft mounted co-linear, which for me the ATT did mostly resolve, no such issues however with the Alinco mobile rig I now use. Next time you're going up the summit, can you take the original VX-8 antenna? Maybe they beef up the receiver sensitivity to make up for the attenuators they ship under the "antenna" moniker? Well, I've seen many 70 quid HT's outperform 200 quid HT's. A classic example is the monobander kg699 by Puxing. I've seen it running circles around an alinco DG-G7 in comes to blocking, when SW9OFP and I went (for business, not pleasure) on top of Vassiliko mt., Crete Island, where multi-KW FM broadcasting systems operate 24/24h. >Avoid TETRA transmitters sites at all cost if you plan to operate portable on hilltops, especially if you plan to operate SSB 70cm. There is nothing that could ever protect your RX from overload, having 100W of GPSK modulated carrier less than 10 mhz away in frequency and just 400ft away in distance. Should you need to operate from such a site, you would get far less frustrated if you opt for the hillside opposite than the one that hosts the TETRA mast, is possible. Thus, you will have the mountaintop hiding the mast and your front end will probably accept the punishment. Also, and sorry for reposting btw, I have a friend of mine who works for a security company having bought frequencies near 142MHz, and operated those via a MARS-modded VX-8r with original antenna. 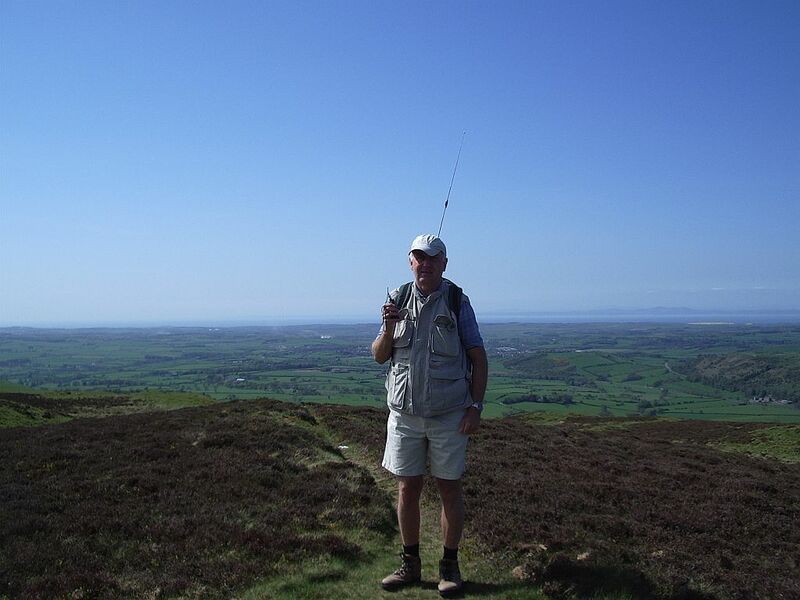 he kept complaining about the total loss of sensitivity on 142 MHZ and also loss of power to the point that it was impossible for him to reach the local service repeater, again on 142. When he opted for full power, the transceiver shut off prompty. Yes, you guessed it right, it was the antenna. The enormous SWR made reception impossible and the CPU turned off the radio to protect the final from blowing the spirit. This is result with the original antenna, again. using a tuned rubber duck antenna gave superb results, turning on the repeater with just 100mW, but also worsen the RX performance not in terms of sensitivity but in terms of overloading. When the HT got a glance at the Vassiliko mountaintop from inside the city, noise level rose to S4-S6. When the HT was clear of the mountaintop, S0 and high sensitivity on wanted frequencies.